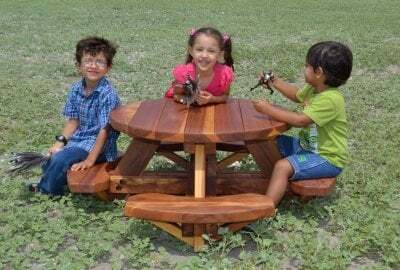 The “kids’ table” will be the most popular seat in the house once your little ones see these adorable Kids’ Wooden Tables from Forever Redwood. But don’t let the size and cuteness fool you. These tables are built for action, and designed to be as rugged as they are beautiful. 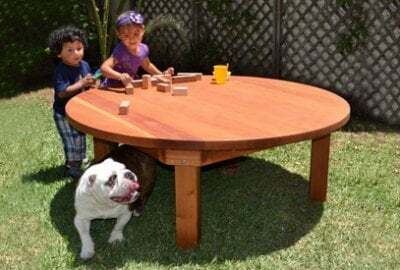 We’ve got seven unique tables you can choose from online, each with its own appeal, and all specially designed for kids, and to be durable under the worst conditions kids can throw at them. Click on each option below to find out more. 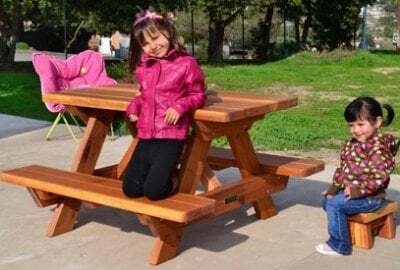 These pint-sized tables are just as well built as their larger counterparts, using the same quality craftsmanship and high-end timber as all of our Forever Redwood products. Whether you plan on using them inside, or outside, they will last a generation with practically no regular upkeep, fading, or replacements/repairs. We make all of them by hand, and back up our craftsmanship with a quality guarantee, and terrific 10-30 year warrantees (on selected products). Bring the thrill of picnics to your own backyard. 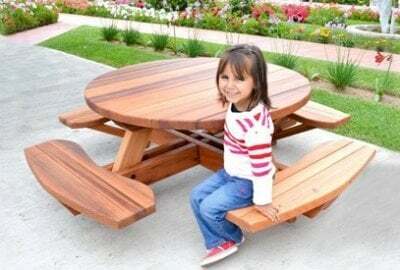 Built tough for playtime or mealtime in sturdy weather resistant Redwood with a durable fine finish. 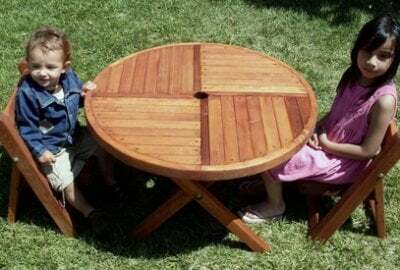 A perfect kids table built in sturdy, naturally weather resistant Redwood. These tables will outlast the children you initially buy them for and be ready to take on the next generation! Bring it out for crafts, games or meals and appreciate how simple it is to store away when done. Yes, finally, a table that looks great and will survive the kids! 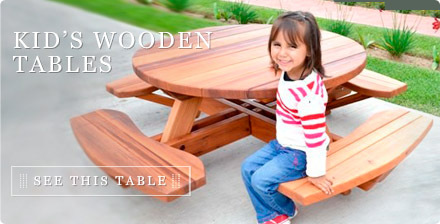 In weather resistant Redwood, your kid's table will still be around after the kids go off to school. 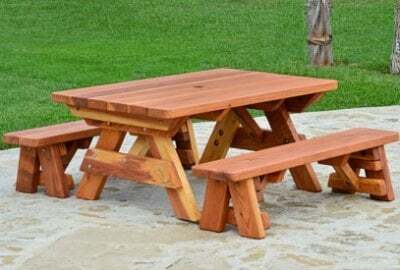 Bring the thrill of picnics to your backyard. 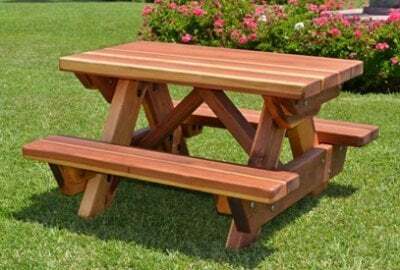 The kids picnic table is built tough for playtime and mealtime.